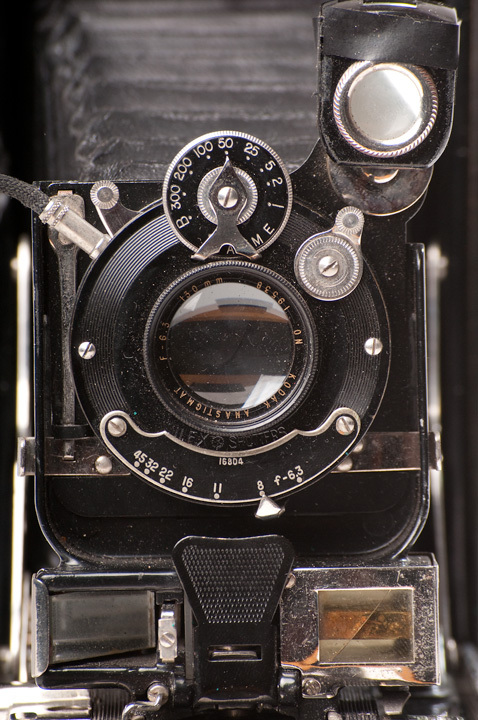 The Argus L3 Mark II circa 1960 made in West Germany. This is a basic match-needle incident or reflected meter. I purchased it a few months back at the local GoodWill for about $3. 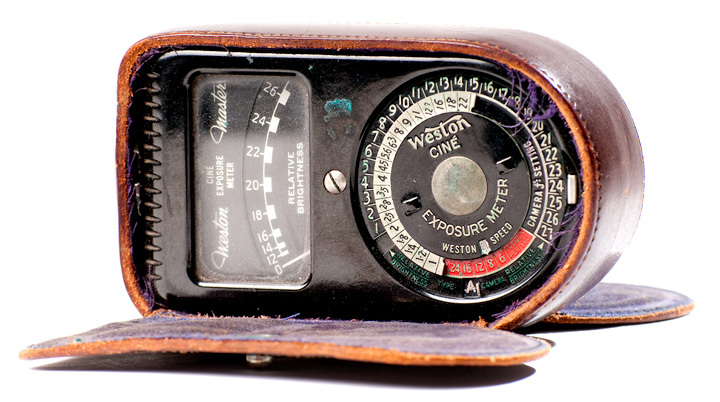 Up next is a Weston Master Cine Exposure Meter circa 1941. This meter is for measuring light when shooting moving pictures, although this calculation can be applied to still photography too via a small formula. This was a christmas gift from my mother. The back side. 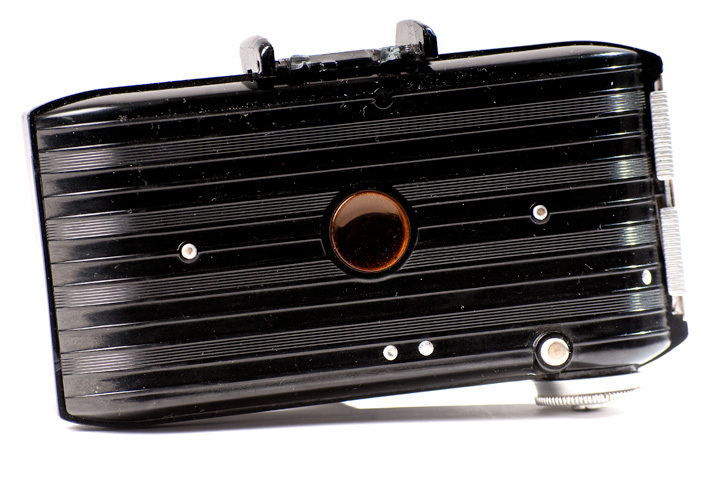 You can see the frame counter window as an orange circle in the middle of the camera body. 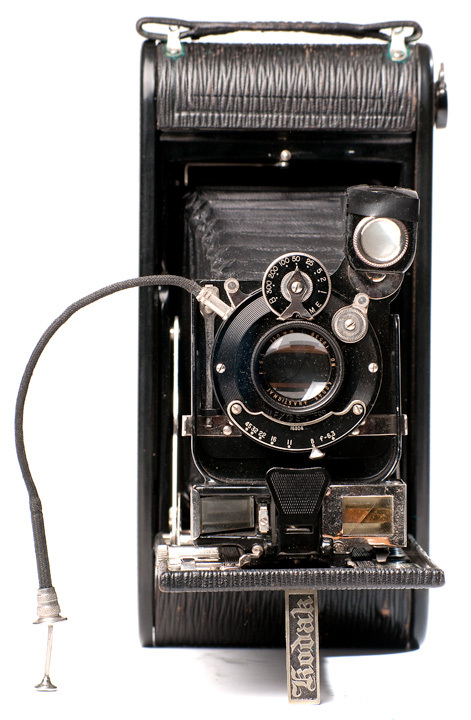 This camera, like several others in my collection was a gift from my roommate, father. According to my roommate, John, his grandmother was an extreme horder, his father doesn’t care about this stuff and would rather give it to someone who will enjoy it. 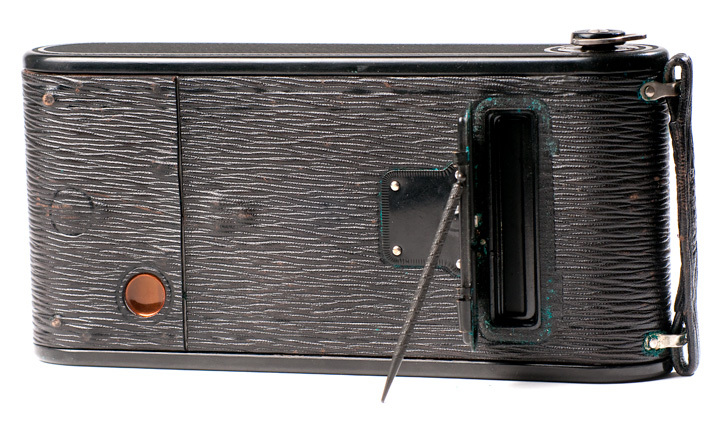 On the back of the camera there is a hatch that opens near the film take up reel. 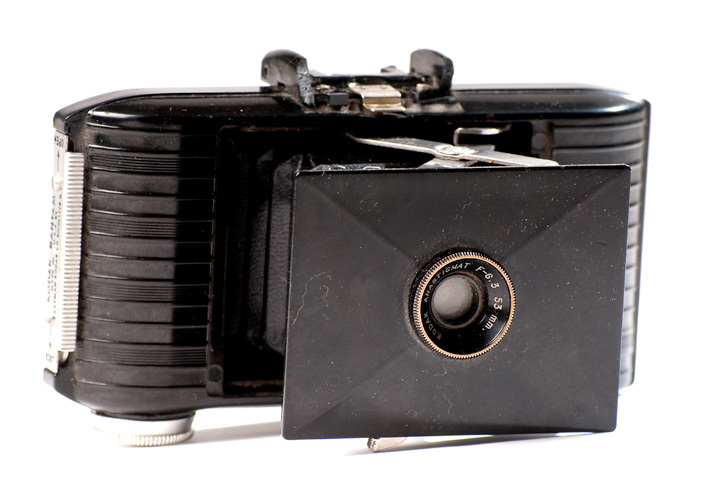 The Autographic film had a thin piece of carbon paper between the film and backing paper. If you took the included stylus you could write something on the film through this window. 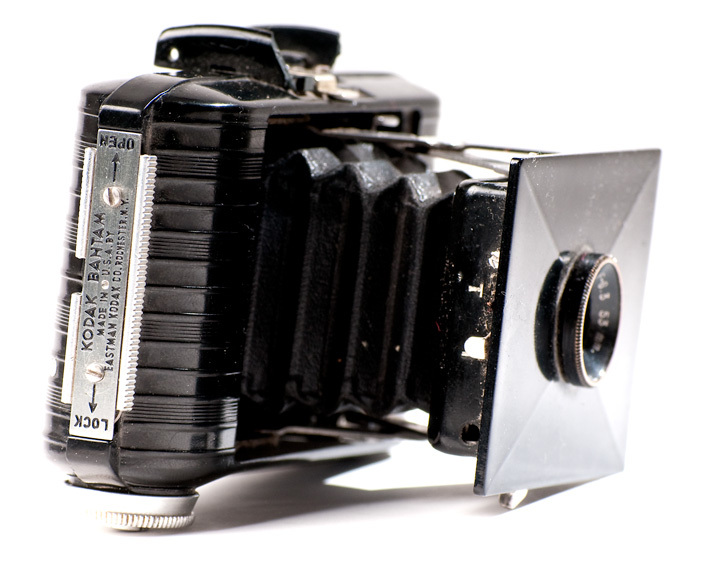 The carbon paper would cause the backing paper to get tiny holes/tears in it and allow a small amount of light through to the film. This caused your message, or notes or subjects autograph to appear at the bottom margin of the negative and subsequently the print. 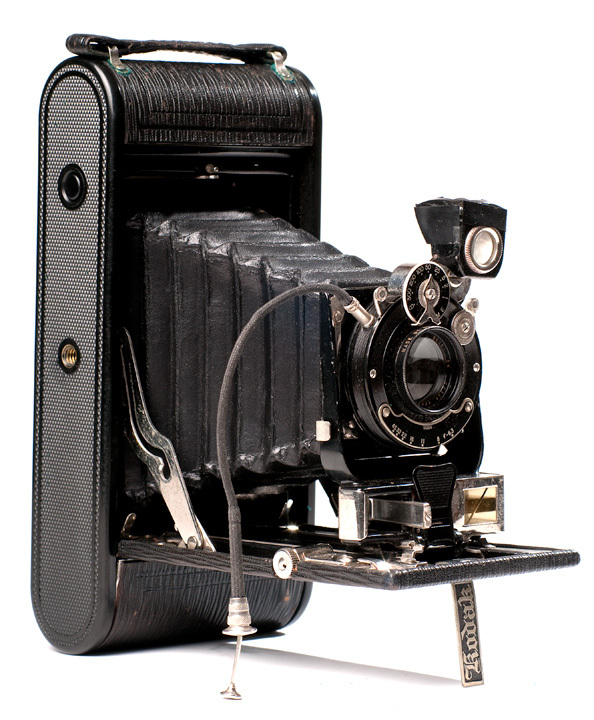 Given the door style on this camera it is likely pre 1920. 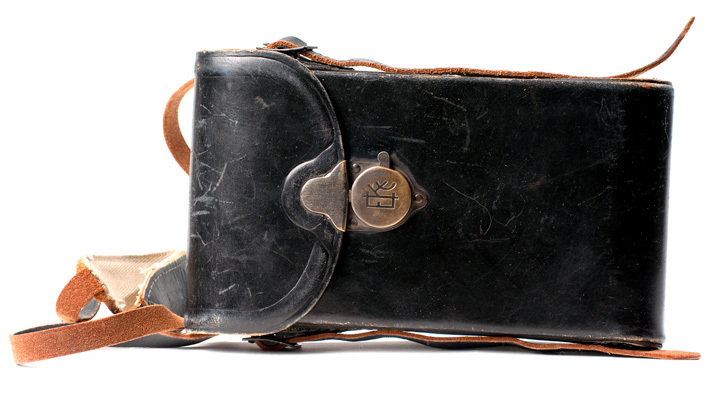 Detail shot of the case. 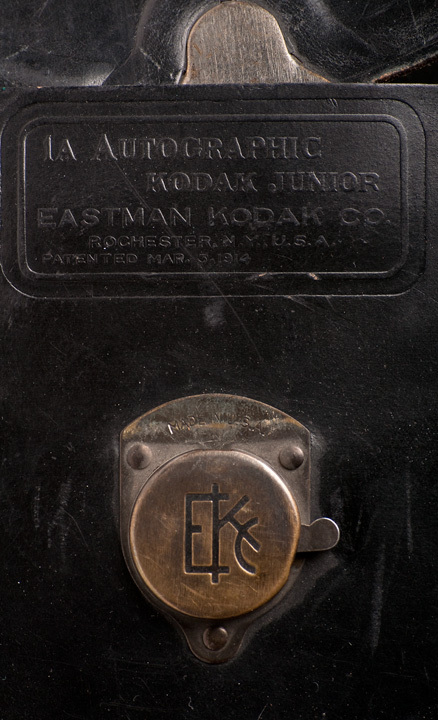 I love the Eastman Kodak Company logo on the latch.